Lahore High Court on Monday agreed to hear a petition seeking a direction to the Government to bring back Koh-i-Noor from British Queen Elizabeth-II. The court has directed the office to fix the petition before any appropriate bench for hearing. Justice Khalid Mahmood Khan overruled the objection by the Court’s Registrar Office to the petition filed by barrister Javed Iqbal Jaffry. The petition, which names Queen Elizabeth II and British High Commission in Pakistan as respondents, bases its claim on the premise that the diamond was taken from the territory that became Pakistan in 1947. Mr. Jaffry has claimed that Britain “forcibly and under duress” stole the diamond from Daleep Singh, grandson of Maharaja Ranjeet Singh, and took it to Britain. “Koh-i-Noor was not legitimately acquired. Grabbing and snatching it was a private, illegal act which is justified by no law or ethics. A wrong is a wrong. It does not become righteous or right by passage of time or even acquiescence,” the petition states. Contending that Queen Elizabeth has “no right over the Koh-i-Noor diamond”, the lawyer brought it to the notice of the Court that he has written 786 letters to the Queen and to Pakistani officials before filing the lawsuit. Earlier in December, the Registrar’s office had dismissed Mr. Jaffry petition, terming it as non-maintainable as according to it, the Court had no jurisdiction to hear a case against the British queen. Mr. Jaffry then made a fresh application, contending that in Britain, the Queen is supposed to be the respondent in every case. Koh-i-Noor, a large, colorless diamond, was found at Kollur Mine, in the present-day state of Andhra Pradesh, India. 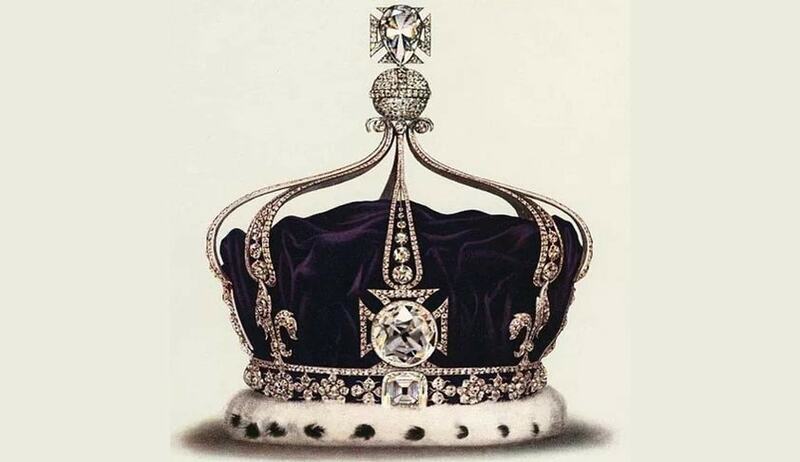 In 1850, Britain’s then colonial Governor-General of India arranged for the diamond to be presented to Queen Victoria. Punjab was then split between India and Pakistan in the partition of 1947. At present, the diamond is a part of the Crown Jewels of the United Kingdom and is on display in the Tower of London. India has been demanding the return of Koh-i-Noor for a long time now. However, such demands have always garnered a negative response from Britain. In the year 2000, several members of the Indian Parliament had signed a letter for the diamond to be returned to India. British Officials have however claimed that since several claims of ownership were laid on the diamond, it was impossible to establish the gem’s original owner.